The Farm Credit System is a nationwide system of cooperatively owned banks and associations established by Congress to meet the credit needs of American agriculture. The Farm Credit System consists of four Farm Credit banks, one Agricultural Credit Bank, and ninety associations. AgriBank and its affiliated associations are collectively referred to as the District. The District consists of seventeen Agricultural Credit Associations that each have wholly-owned Federal Land Credit Association and Production Credit Association subsidiaries. Federal Land Credit Associations are authorized to originate long-term real estate mortgage loans. Production Credit Associations are authorized to originate short-term and intermediate-term loans. Agricultural Credit Associations are authorized to originate long-term real estate mortgage loans and short-term & intermediate-term loans either directly or through their subsidiaries. Associations are also authorized to provide lease financing options for agricultural purposes. AgriBank provides funding to all associations chartered within the District. Associations are authorized to provide, either directly, or in participation with other lenders, credit and related services to eligible borrowers. Eligible borrowers may include farmers, ranchers, producers or harvesters of aquatic products, rural residents and farm-related service businesses. In addition, associations can participate with other lenders in loans to similar entities. 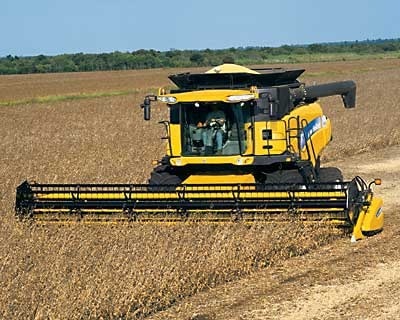 Similar entities are parties that are not eligible for a loan from a Farm Credit System lending institution, but have operations that are functionally similar to the activities of eligible borrowers. Associations are also authorized to purchase and hold certain types of investments.